Heavens! How is June already almost over? 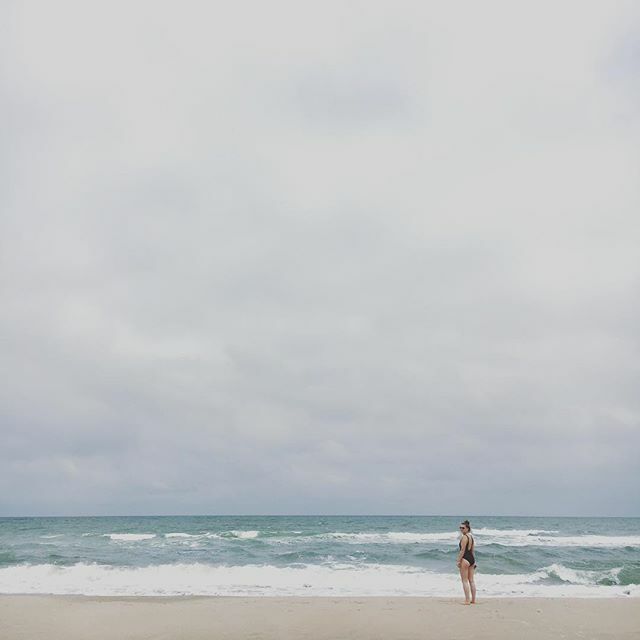 This is a month that I look forward to every year, because in June my family stays in a beach cottage in Corolla, North Carolina for one whole week. I felt like I was lightyears away from everything, and I even deleted Facebook from my phone (more on that later), to truly take a break. A big part of my real job requires comparing and optimizing our brand against what other folks are doing. It was nice to take a step back and remember that life isn't about strategizing. It's about enjoying, creating. And helping others enjoy and create, too. 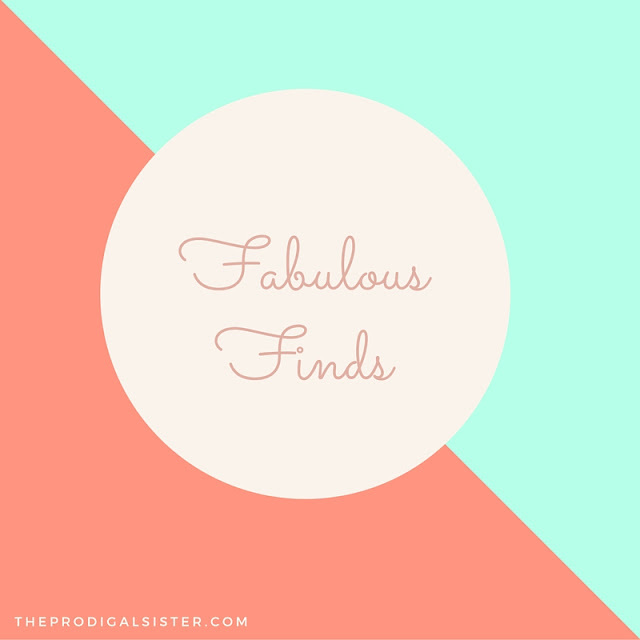 So, with that, here are June's Fabulous Finds! 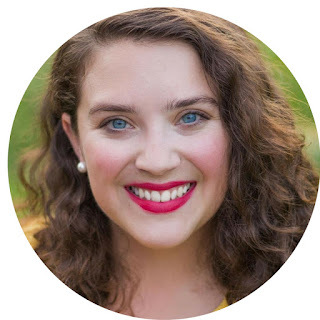 For my writerly people, Jenny Bravo has completed a full website redesign and it looks fantastic. Jenny is one of my best [internet] friends (those buddies are real and deep and most often involve sending some sort of Snapchat selfie on the regular). Fun and games aside, she's created an incredible online community for writers who feel a little stuck. She came into my life at a perfect moment, and I will be a forever-fan. I'm twenty-odd years late to the party, but a friend of mine gave me the first two Harry Potter books to read while I was on vacation. I didn't realize how invested I was in the characters until I cried at the very end when Griffyndor won the house cup. I didn't write spoilers because, come on, it's been 20 years. Side note: took a sorting quiz. Where my Hufflepuffs at? Started the new season of Orange is the New Black. It's one of those that are NSFH (not safe for husbands). I have to watch it bit-by-bit when he's not around because he doesn't enjoy it. And also, I'm bingeing (more like purging) myself from Facebook. The week it was absent from my phone (and still is) I realized how often I checked it and how addictive those little red notification numbers are. I was worried that I'd feel out of touch or lonely if I wasn't interacting with my friends there. I did miss a few updates from in-laws re: my brand-new nephew, but other than that, the enterprise was still there when I returned home to my laptop. So, in a way, I guess I'm un-bingeing? Does that still count? The Tony Awards: All three glorious (mostly, except for Spring Awakening, I'll go there) hours of it. Finding Dory: all kinds of adorable. Who knew a baby fish could have that much emotional power over you? I suspect witchcraft. PIXAR = Ravenclaw, am I right? The Lobster: all kinds of crazy/creepy/general horribleness. Listen, I'm all for pushing boundaries, but please do not let this well-marketed freak-show trick you into seeing it. It was an indie/psycho trainwreck. And I'm a glass half-full sort. Jamie B. Golden of the Popcast. I can't get enough of this woman's witticisms. And this. Lip color for days! And, seriously, this one. So beautiful. We live in a world full of stardust and fairy tales. But then, our late-twenties hit us. We enter a world that, perhaps, has always been real to us, but comes a little more into focus. We graduate from college. We leave communities that we didn’t realize were integral threads in our making. The pixie dust settles and we realize we can no longer fly. And even though Pixar is becoming better and better at telling stories through lifelike characters, we’ve always known these stories aren’t real. We are bright, educated and independent women. We can vote. We can break through glass ceilings. We can become a presidential candidate, and we can certainly tell the difference between animation and real life. So, why is the rest of the world so worried about us? Yay! Everyone needs a Hufflepuff in their life. I'm a Ravenclaw even though I used to think I was a Gryffindor. My favorite part of the Tony's was anything Hamilton related. Also, I went without FB for a week and I actually got so much done. I need to do that more often. Laurie! You would love it - BUT you'd especially love the "Songs from Waitress" album that Sara B. released. It's all from the musical. And it's fantastic writing music! Whitney, I will be your honorary quintessential-Hufflepuff-person! :) I think your Ravenclaw-ness would help me stay a little better grounded and focused. And yes - the Hamiltonys - hello. So gorgeous. And I read your post about going off Facebook a few weeks ago. It was a spontaneous decision on my part. I didn't get much more done, but it was still a really good decision. I feel like I spent more vibrant time with people in real life.